Scrolling banners highlight the newest, highest-rated, and top resources for the month. Option to include DOGOnews – regularly updated, professionally written articles on current events that are aligned to national and state standards. Add any Groups or Categories you want to promote. Group created for a unit on Black History Month could be added to Home Page as a Featured Group in February. Individual accounts for each user within the school’s MackinVIA. 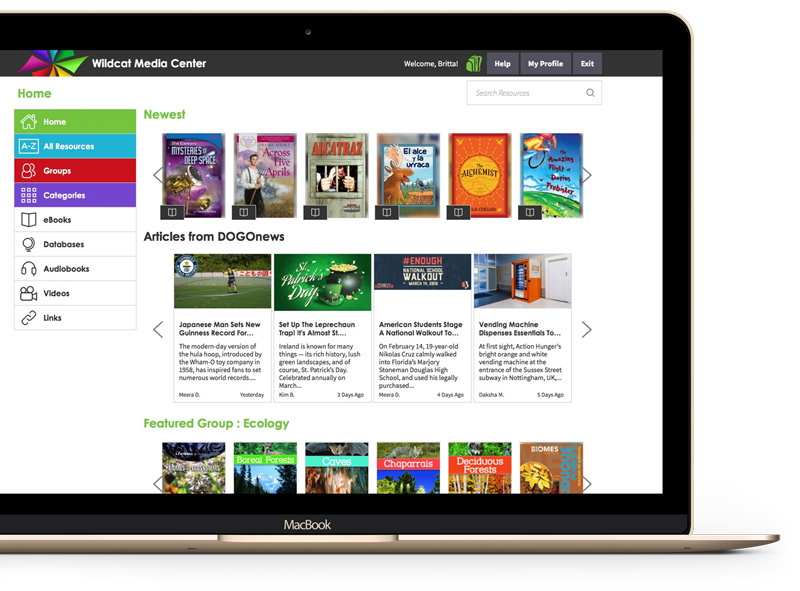 Allows users to check out eBooks and audiobooks, take notes, highlight and add bookmarks in eBooks, and save resources as Favorites. Notes and bookmarks are saved in the Notebook and can be accessed later, even if the user no longer has that eBook checked out. Notebook can be exported to Google Drive or OneDrive. 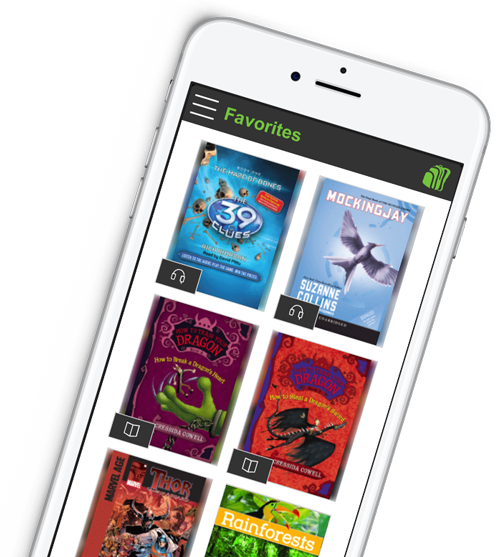 With the MackinVIA app, users can download eBooks and audiobooks to access offline. Help customize and narrow down your collection to make it easier for students to find the resources that fit their needs. Create Groups based on grade, reading level, subject area, lesson plan, or anything you like! Teachers can be given Group Administrator rights so they can create the Groups needed for their classes. Teacher planning a unit on weather can create a Group that includes eBooks on the different types of weather, a science database that includes a section on weather, a link to the National Weather Service or local weather station, and even videos of different weather events. 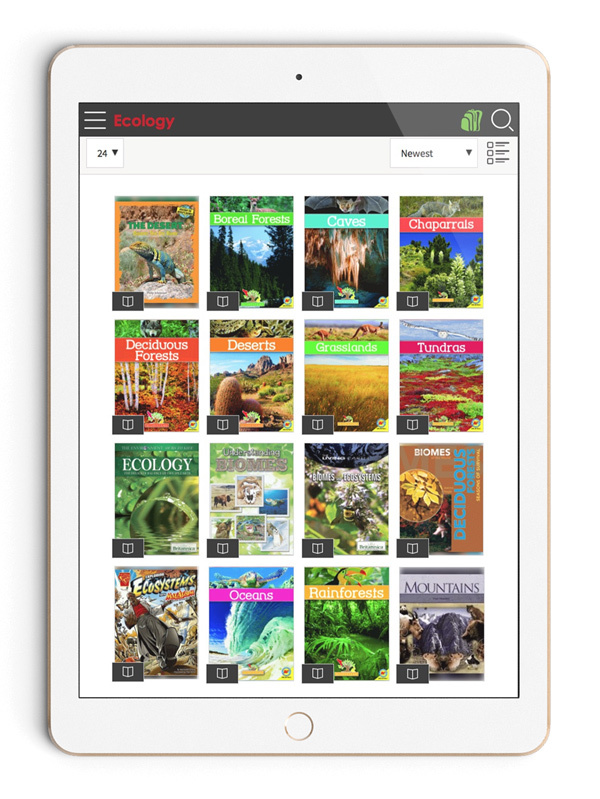 Allows Administrators to “assign” an eBook or audiobook to a particular group of students. Reserves the selected number of copies of a title for a scheduled period of time, assuring that all students will have access. Assignment period is outside normal parameters for checkout periods and limits. A unique code is set up for each Assignment and is distributed to students. Students enter the code and then have that title in their Backpack for entire assignment period. Designed with the classroom in mind and can be used to reserve copies of that title for class projects, novel sets, or reading groups. MackinVIA can be integrated with your school’s learning management system (LMS). 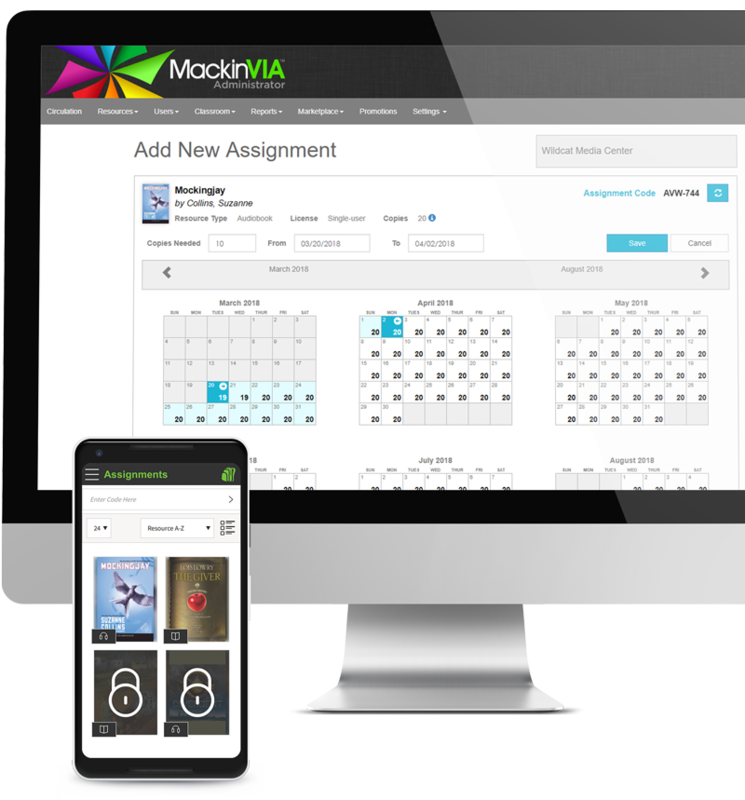 Allows teachers and librarians to access their MackinVIA Backpack account within the LMS and add MackinVIA resources to a classroom or assignment. We also have Google Classroom capability (Allows administrators to share resources, Groups, Categories, and Assignments to their Google Classroom). Test-drive or sign up for a FREE MackinVIA!